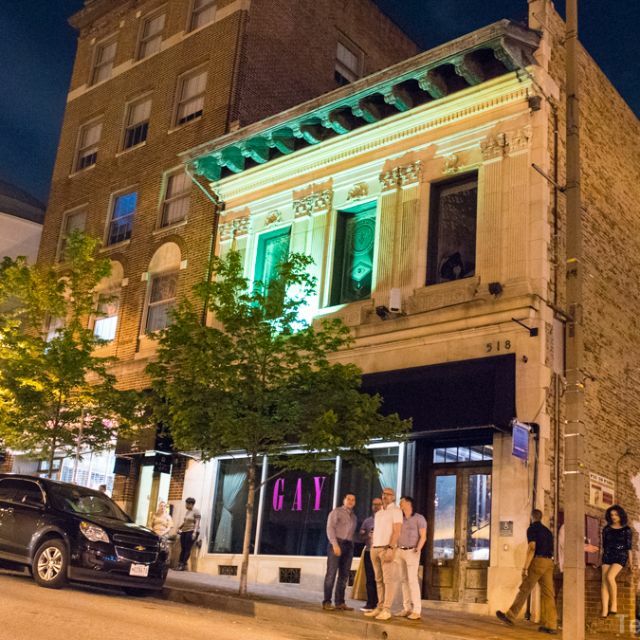 After less than six months in operation, the owners of Baltimore's G•A•Y Lounge decided to close the Mount Vernon establishment. The reason for the closing is not due to a lack of popularity; instead, the owners—Robert Gay and Joshua Persing—believe they could not comply with the contract. “Unfortunately, when we entered into this venture, we entered with what we thought, was a concrete contract with the previous owner,” according to a statement posted on the bar’s Facebook page on October 11. G•A•Y Lounge opened on April 28 to much enthusiasm within Baltimore’s LGBT community who had seen the loss of gay bars in recent years. Its venue at 518 North Charles Street was the same building that had previously been inhabited by Louie’s Book Store and subsequent businesses. Prior to its opening, Pershing touted G•A•Y Lounge’s concept and "chic, eclectic style" and believed it "would stand out as an icon within the community." "It is with heavy hearts, but full glasses that we toast to the official closing of G•A•Y. We toast to you – the community that immediately embraced us, supported us, defended us and made us an absolute success here in Mount Vernon. Opening G•A•Y was our dream. It was a dream that came to fruition, and that was because of you, our loyal and steadfast patrons - Thank you. You have made us feel more welcome and wanted than we could have ever imagined." Disappointing as the closing may be, the owners vow to re-emerge in the future. They can take solace in the fact that few people thought the Baltimore Eagle could overcome a series of daunting obstacles and return, but it has, and it’s thriving.